You are here: Home / Holiday / Printable Christmas Gift Tags for You! Printable Christmas Gift Tags for You! Christmas will be here in a flash, and if you have started your shopping already you might need a few gift tags to top off those special presents. 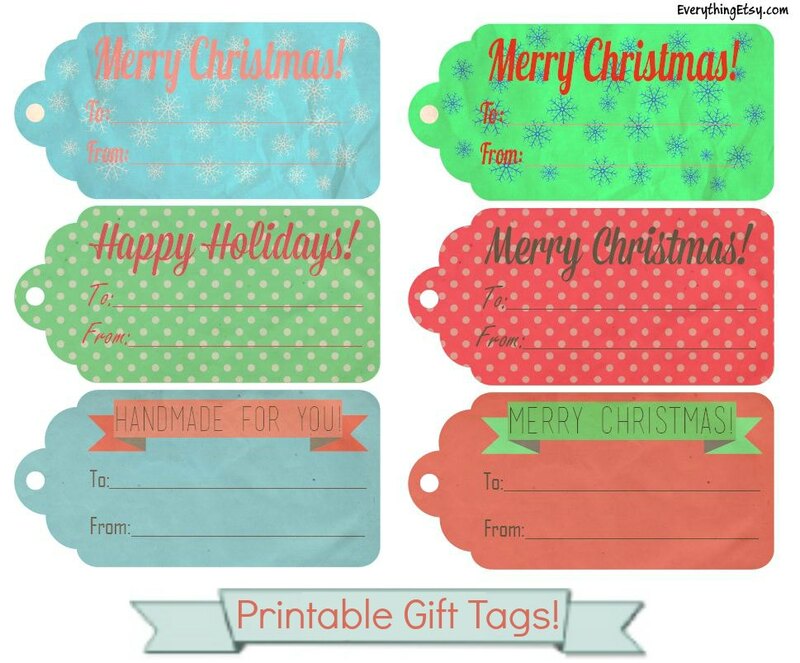 Here are a few printable gift tags ready-to-go. They’re simple and sweet, so they should mix with any of your beautiful holiday or kraft wrapping paper. Don’t miss the ones designed just for your handmade gifts! It’s a great way to let them know their gift was made with love before they even open it. Handmade gifts rock! These gift tags were designed by my son just for Everything Etsy readers. You can read about music and graphic design on his blog, Play4theWorld.com. You can always visit our project gallery to see our latest tutorials! How cool! Thank you and your talented son! very cool, your son has a great website!!!!!!! !